The accuracy of a mechanical watch is affected by the environment, and we can overcome the effect by properly adjust the balance wheel and balance spring of a mechanical watch. For adjusting the balance wheel, please refer to "Different Type Of Balance Wheel". For most poor men watches, such as the Seiko 5, or even some low price C.O.S.C. 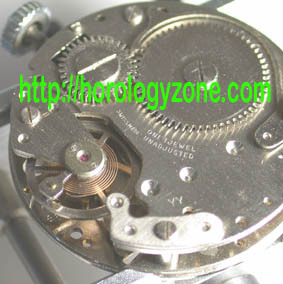 Watches, the Balance Wheel is nonadjustable, the only thing we can adjust is the Effective Length of the balance spring. 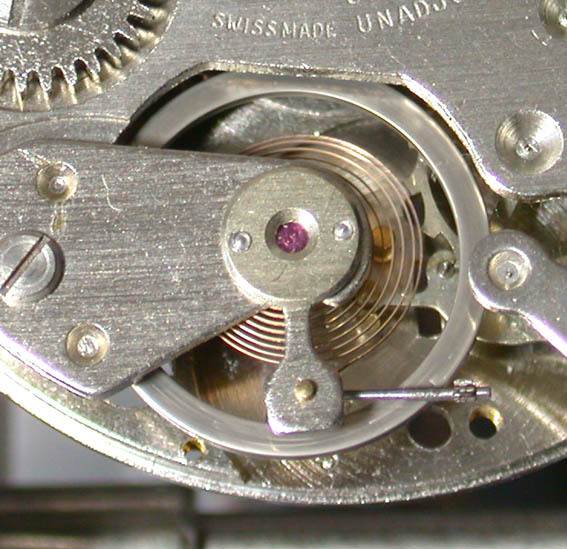 This is a Swiss Made Hand-winding Mechanical Watch Movement, you can see the word "unadjusted" on the movement. 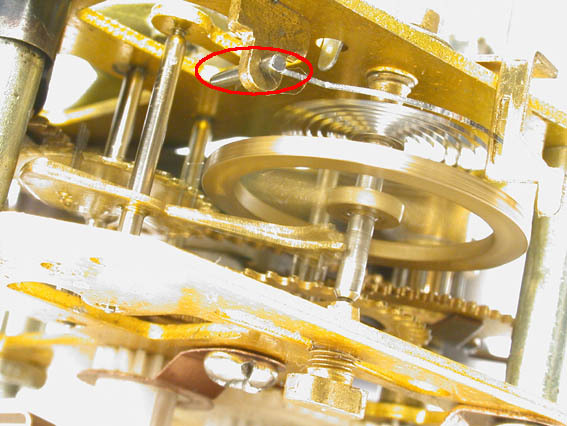 Actually, if you would like to adjust the accuracy of this movement, you have to pull- out the pin which locks which holding the balance spring in place. Unfortunately, the pin of this old movement was lost before I purchased it for HK$ 30. The PIN is look like the one in a mechanical clock but much smaller. 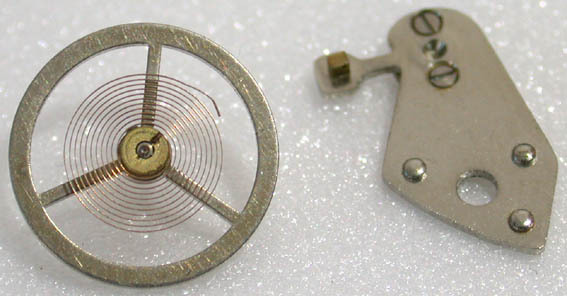 This photo shows the balance wheel with the balance spring. On the right hand side, it is the plate over the balance wheel. 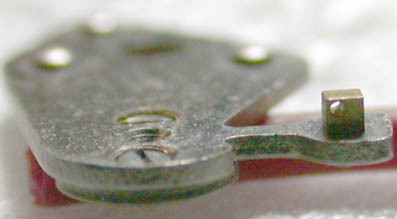 You can see there is a hole on the metal cube, this hole is for the Pin mentioned above and the diameter of it is about 0.02 mm. This is my first time making a small part, the Pin; therefore, it only last for about 3 minutes, just enough for me to record a movie. Although the movement can operate, it is not stable. You can see, through the photo, the distance between each circle of the balance spring is not even, this is one of the problem. Moreover, the plane of the balance spring is not level ( not shown ). All these problems make the movement unstable and unreliable.